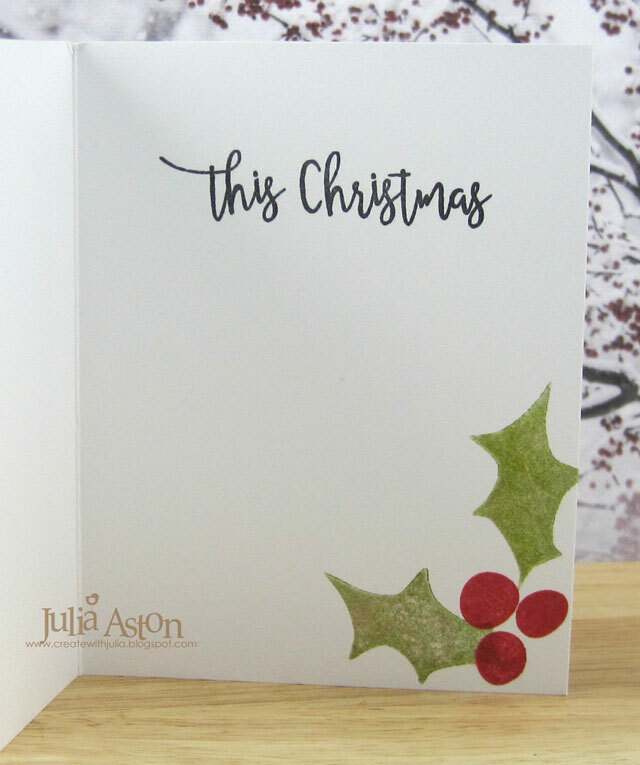 I thought I wouldn't have time to join in for the Dec PTI Blog hop - but suddenly had time this afternoon to create a card! 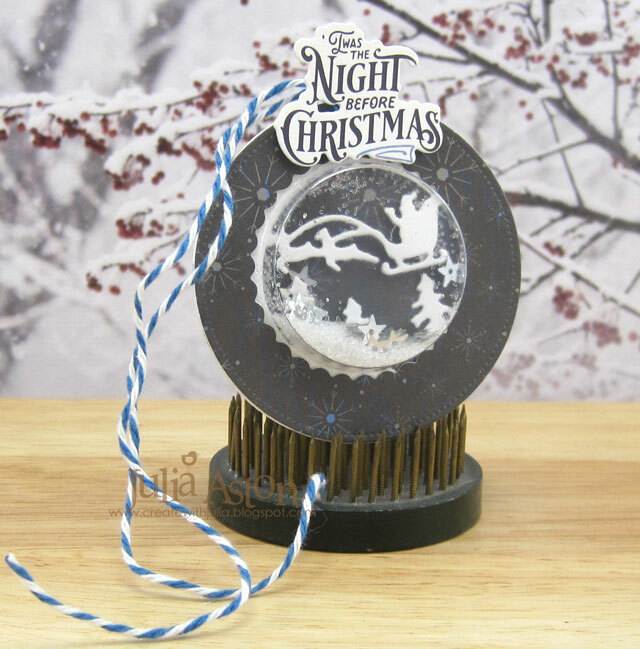 Here is our inspiration for this month's hop. 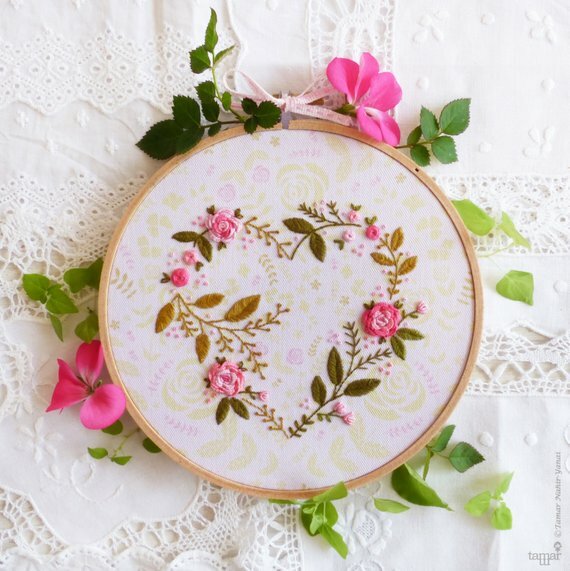 I'm already starting my New Year's Crafting Resolution - to use what I have already purchased but not used yet! I was inspired by the colors and the heart shape. 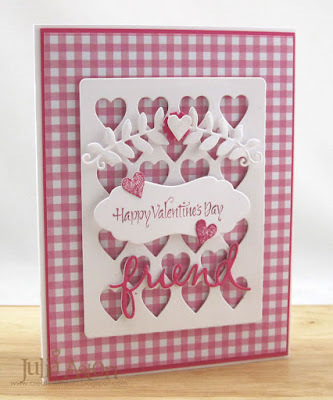 I pulled out the Mix and Mat Hearts die (which I haven't used yet) and cut it out of Vintage Cream Linen. 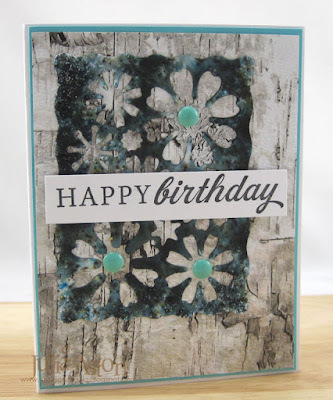 Then I cut the Scallop Stackers Large Die (which I have used) out of Green Parakeet. 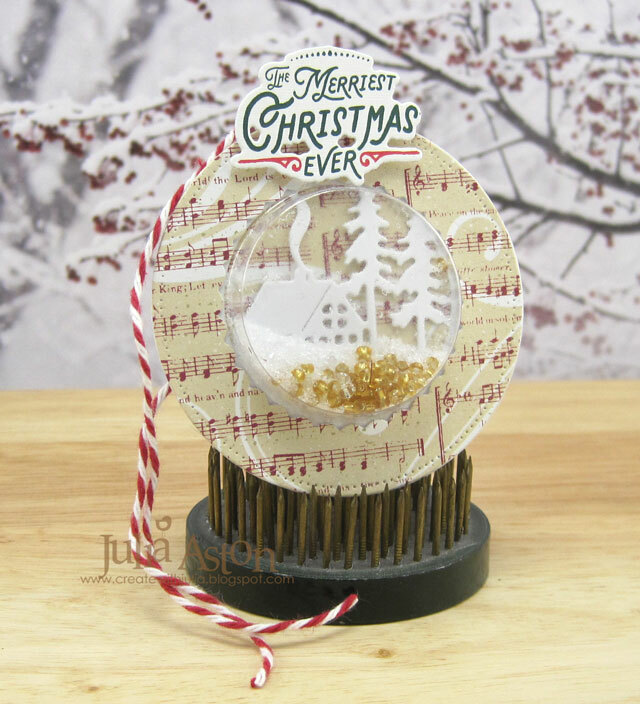 I layered the heart die over the scallop die with foam dots. I sponged Pale Peony and Hibiscus Burst inks over some of the hearts that cut out of the die and adhered them inside the cut out hearts so they are recessed. 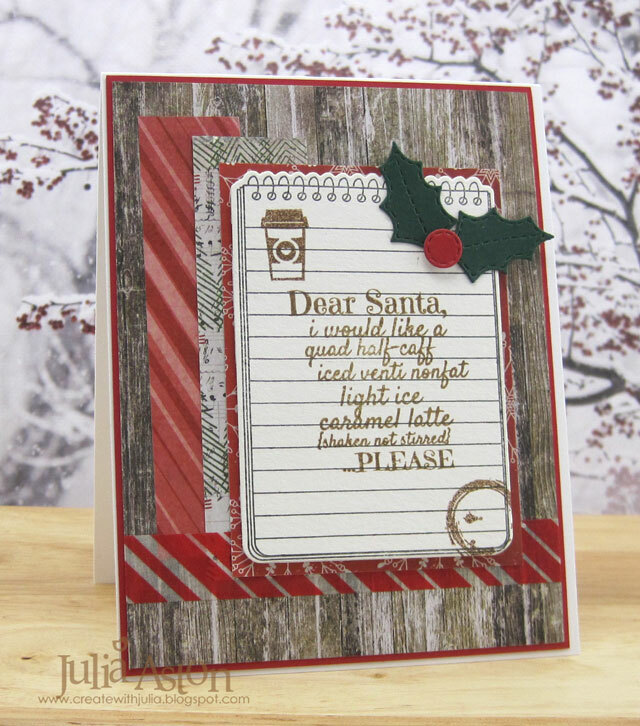 I die cut and stamped the sentiment from Penned Elegance II and layered it over the heart panel with foam dots. 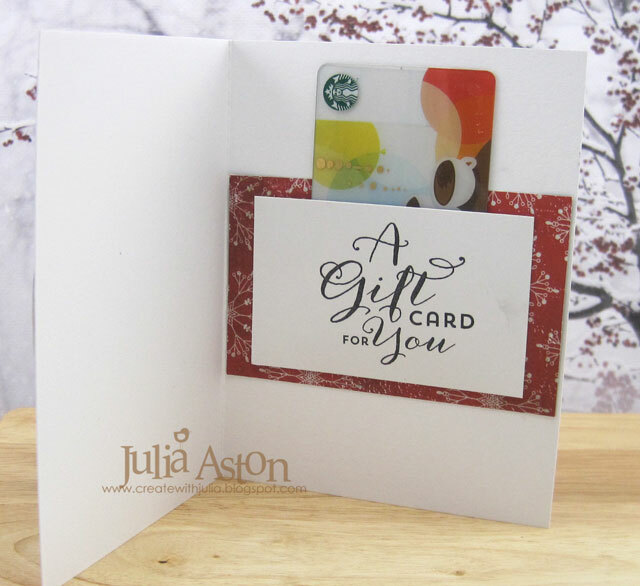 We have until 11:30 pm ET to link up your card. 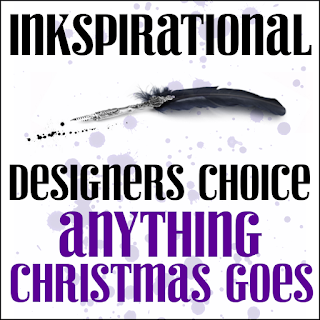 You'll find all the inspired entries here! 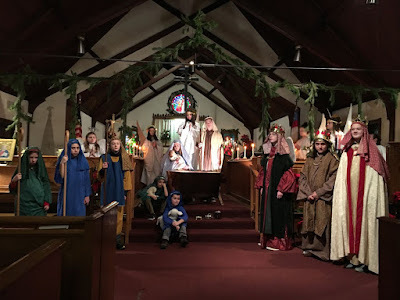 I just attended the Christmas Pageant at my church, St. John's Episcopal Church, in Saugus, MA. The kids always do such a great job participating in it. I don't feel like it's Christmas until I've seen the pageant! 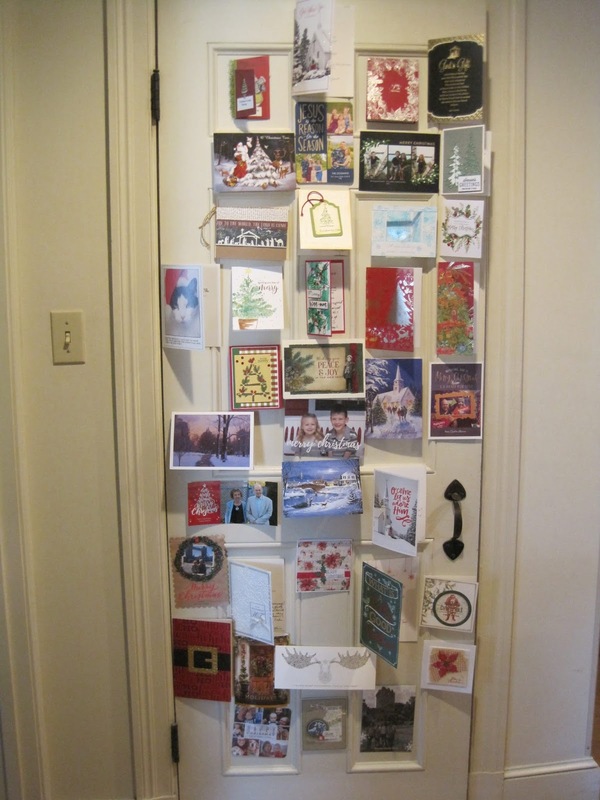 All the beautiful Christmas Cards we received this year. 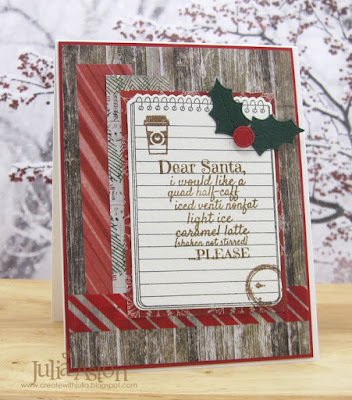 Many of them handmade from my stamping friends! 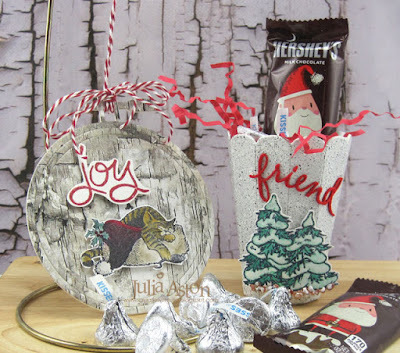 This month, Eileen Hull's Inspiration Team is rounding up their favorite projects from 2018 using Eileen's Sizzix Dies. 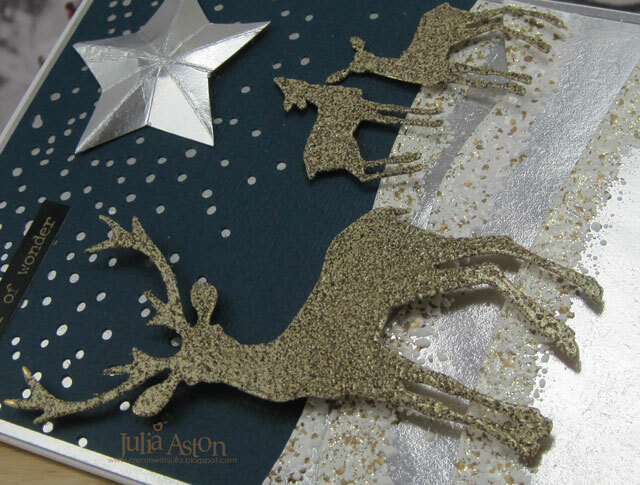 Here are some of my favorites that I've posted this year with links to my tutorial posts. In June, I posted a couple of cards - Valentine's and Birthday - using Eileen's Journaling Cards Hearts and Journaling Cards Flowers and Leaves. 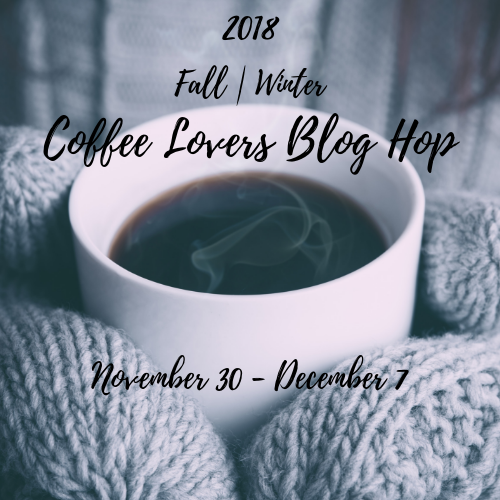 You'll find more details on my post here. 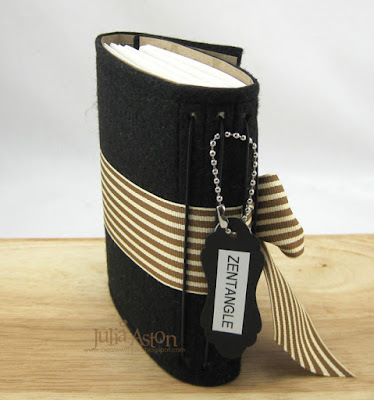 On another post in June - I shared this lovely felt journal using Eileen's wonderful Wrapped Journal Die. If you'd like more details - please check out my tutorial here. In July, I posted this personalized Trinket Box I made for my Grandniece Mila's 6th Birthday. You'll find more details on this post. 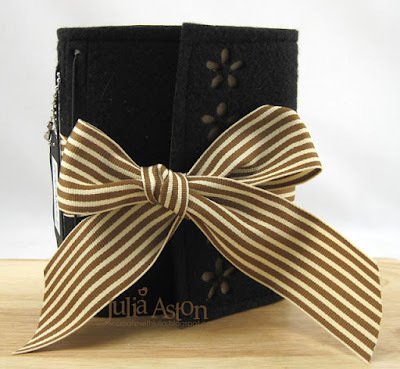 In August, I made a leather purse using Eileen's Wrapped Journal Die. 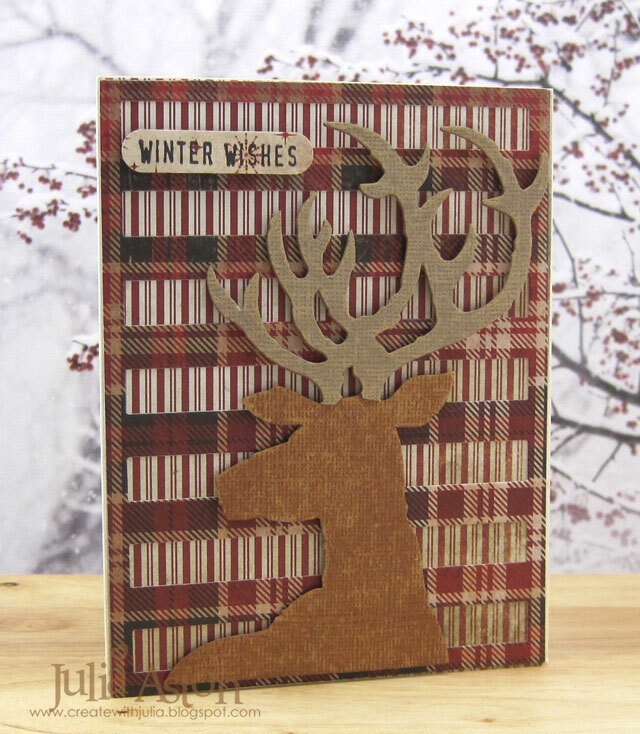 For more information on this project check out my tutorial here. 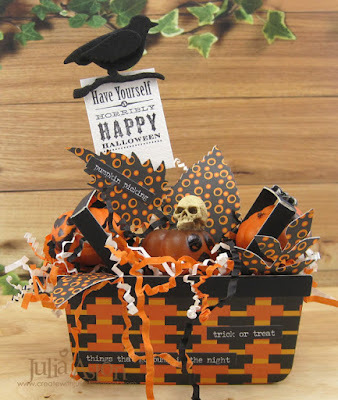 In September, I posted this fun Halloween Basket, using Eileen's Basket Die. 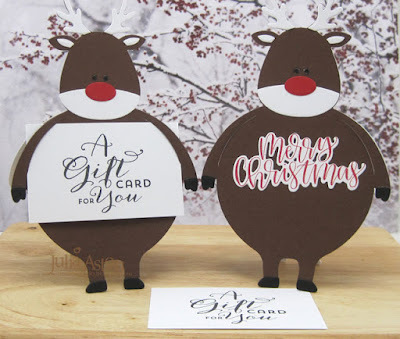 For more details check out my post here. 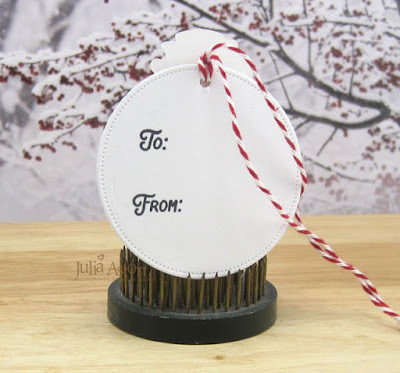 In October - I was into decorating the Thanksgiving Table - using Eileen's Bookmark Tag & Pocket Dies as well as her Bookplate Hinges and Labels dies. Check out my tutorial on this post. In November, the Inspiration Team joined with Emerald Creek for a blog hop and I made projects using Eileen's Embroidery Hoop Die and her 3D Vase along with stamps from Emerald Creek. You'll find more details on my post here. 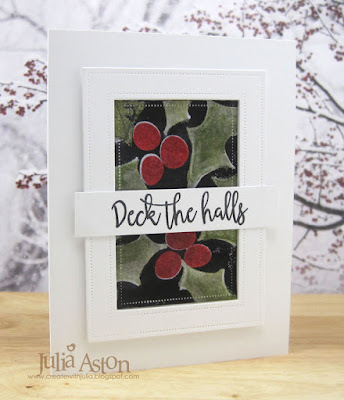 I hope you have enjoyed my 2018 Round Up of some of my favorite Eileen Hull Projects! 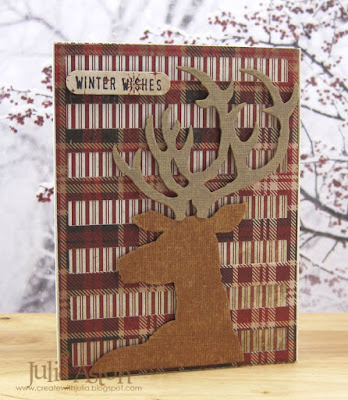 Please check out Eileen's blog to find out what projects the rest of the Inspiration Team has been sharing this month! 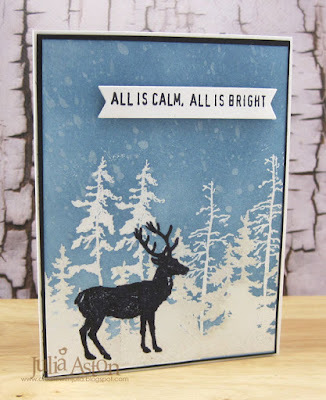 Eileen has some fun dies coming out in 2019 - you'll find a preview of the first two at Sizzix. A Stacking Drawer and a Treasure Box! 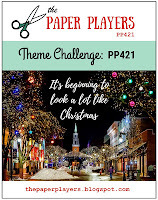 It's December 1st and the new CAS Mix Up Challenge is posted! 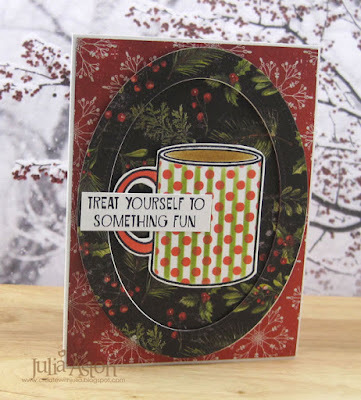 Loll is our hostess with the mostest this month and her challenge is Emboss Resist! 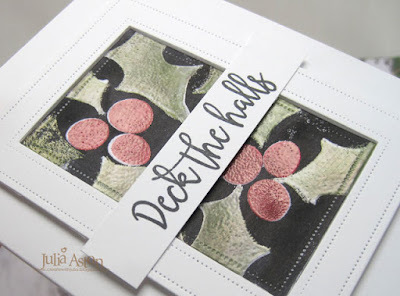 There are several links to emboss resist technique videos over on the challenge blog. I had never seen this before and I love how it comes out! I used Emboss Resist, stamping and layered die cuts. 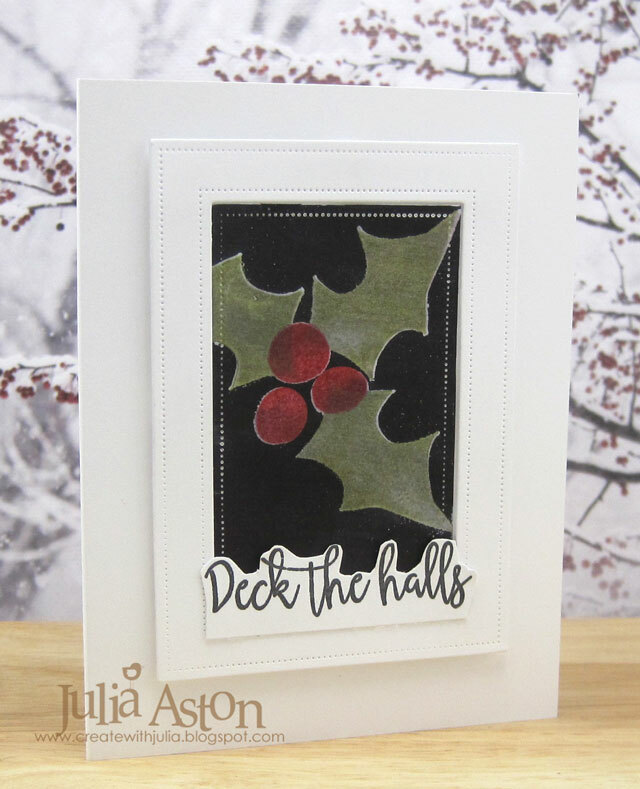 I first stamped the holly leaves and berries in green and red inks onto a panel of white card. Then I stamped over the images with Versamark ink and clear embossed them. I colored over the panel with a black Tombow Marker, wiping the marker off the embossed images as I went along, until all the exposed white was black! 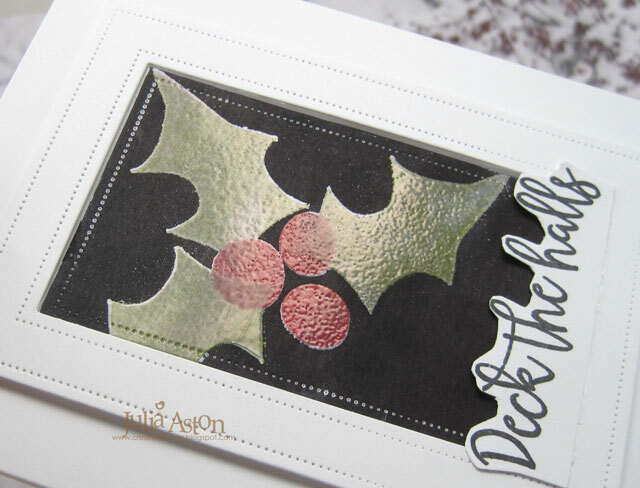 Stamp set is Layered Holly from STAMPlorations, Pierced Feature Frames are from PTI. I was so excited by the technique - I made a second card - this time stamping just 3 holly leaves and one set of berries - and I did the sentiment a little differently - fussy cutting around the top and placing it below the image. 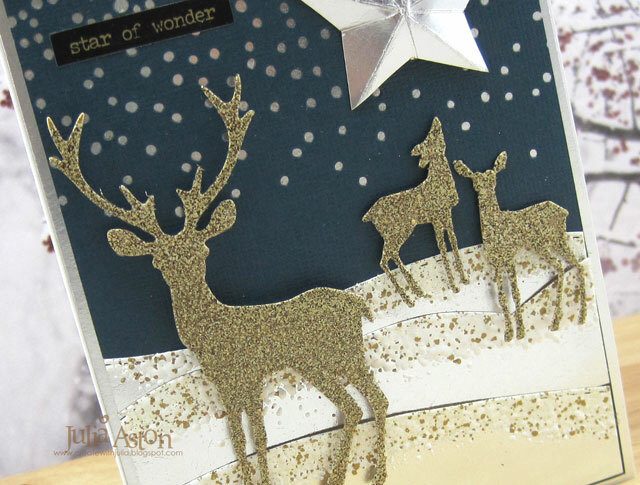 and a view of what I stamped inside both of my cards. 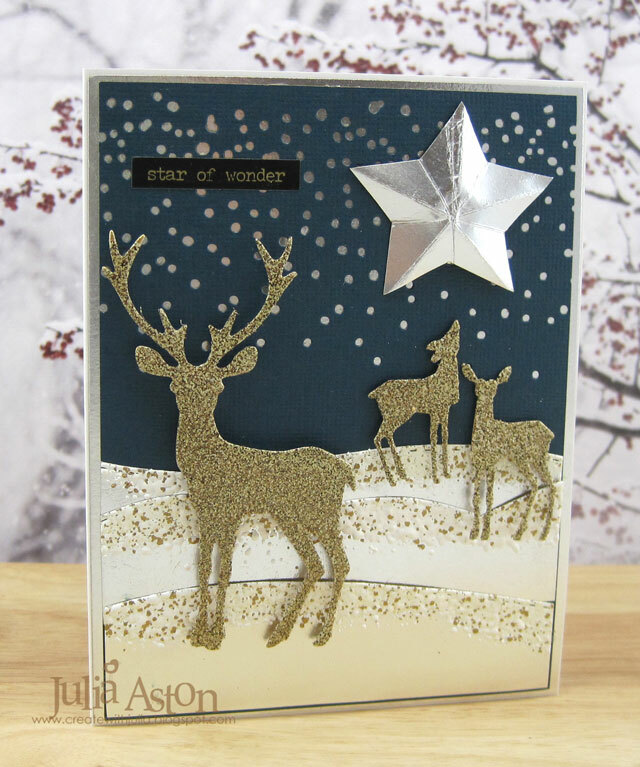 So please join us and show us how you will use Embossed Resist on your CAS card design! 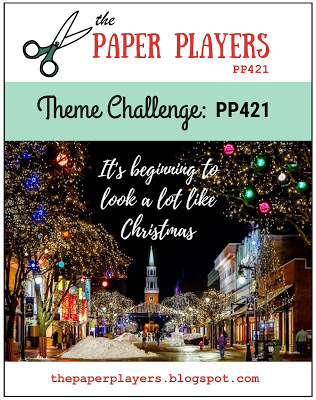 Please note: The December challenge will run Dec. 1 - 15 (instead of to Dec 24), to provide two weeks off for the Design Team members during a busy time of year. You'll find some great emboss resist inspiration from the team as well as our December Guest Designer: Bozena (ArtCardBox), links to technique videos as well as Mr. Linky where you can link up your own CAS Emboss Resist cards at the CAS Mix Up Challenge Blog! 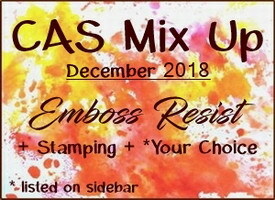 This is my last month on the CAS Mix Up Team - as I am moving over to Loll's design team for her new CAS Stencilling Challenge! 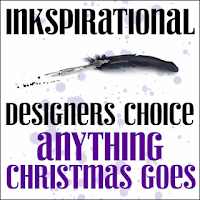 Watch for it in January!